How do you like your Budweiser? On draft? Ice cold? Co-branded with one of the best-known metal groups of all time? 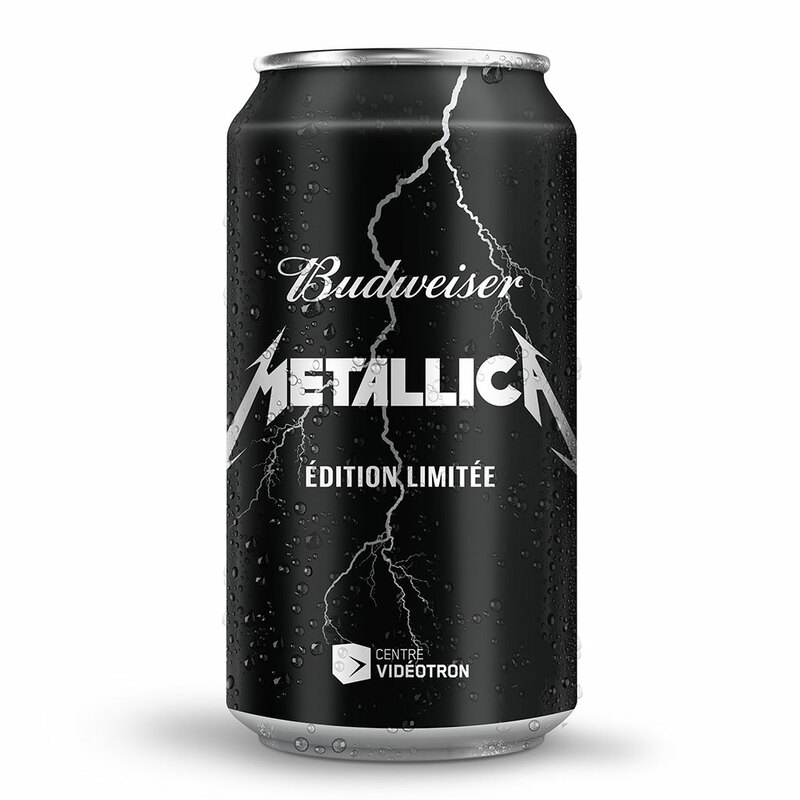 If you’re happy with how your Budweiser tastes but wish its appearance rocked a little bit harder, you’ll be excited to hear that Metallica has teamed up with Labatt (which is owned by Anheuser-Busch InBev in Canada) to produce a limited edition run of Budweiser sold in black Metallica-branded cans. Yes, the beer inside is relatively unchanged, with one slight caveat. Apparently, a tanker truck full of the maturing beer will be parked outside of the Metallica show happening at Centre Videotron in Quebec City on September 16 before being sent off to the canning plant. It’s just the latest example of a brand trying to add to the brewing process by exposing their beer to music. We already know beer doesn’t mind listening to Wu-Tang. Apparently, the fermented beverage has diverse musical tastes. Also, yes, the Metallica version of Budweiser will only be sold in Canada. Over 91,000 cans are expected to be available for sale in 15- and 20-packs, so there should be plenty to go around. However, I wouldn’t recommend smuggling any cans back into the United States. Metallica has a long history of not liking when people obtain their things through debatably legal channels.